I was scared. I felt sad. I was really happy. Do these sentences sound familiar to you? These are the types of sentences my students were writing a couple of weeks ago when explaining how they were feeling in their writing. Now they are writing sentences such as, "My heart started pounding and my palms were sweaty." and "I jumped backwards and threw my arms up in the air!" Their writing is so much more interesting and they are really showing how they were feeling instead of just telling it. To start off the unit, I showed my kids examples of telling and showing sentences. I asked them which type of sentence was more interesting to read. They all agreed that the showing sentences were more interesting. I then explained that over the next week or two, I was going to teach them how to show not tell feelings in their own writing. The first activity that I did with my students is called "Feelings Charades." My students LOVED this activity and it really showed them how to describe a feeling in detail rather than just telling it. Volunteers in our class acted out different feelings while the rest of the class recorded the body language/actions that they noticed (eg. hanging head, shuffling feet, shoulders hunched, etc.) This game helped my students understand how to "show not tell" a feeling in their writing. They loved acting out the feelings and were begging to do more than the six feelings I had planned. 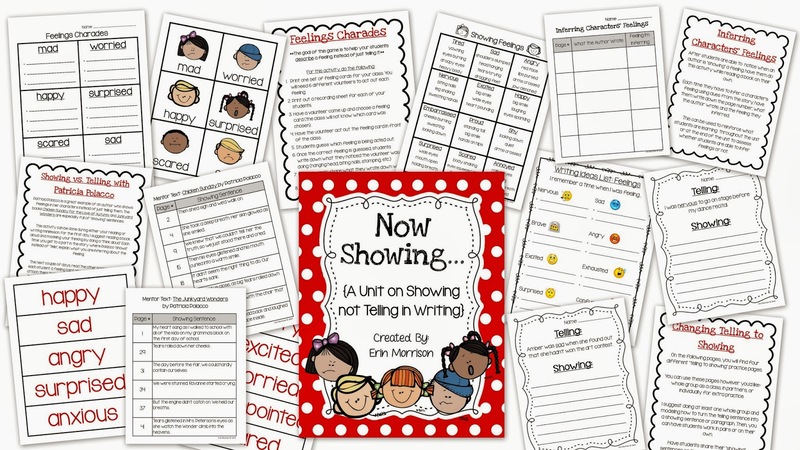 After we finished the activity, I gave each student a "Showing Feelings Chart" to add to their writing binder. I explained that they could use this chart as a resource throughout the year if they needed help with showing a feeling. There are twelve different feelings explained on the chart. For each read aloud, I've included a chart of the "showing not feeling" examples and the page numbers that they can be found on. 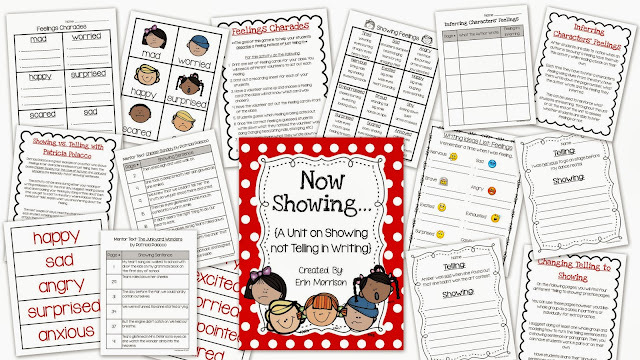 Also included in the unit are a brainstorming list, practice pages for students to turn telling sentences into showing sentences, and a recording sheet for students to write down showing sentences that they find while reading on their own. 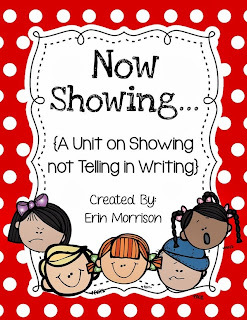 If you'd like to check out my unit on TpT, just click the image below! Patricia Polacco is such an amazing author. I love your activity during your read-aloud!